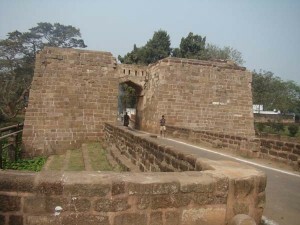 One of the oldest cities in Orissa. This city is situated in the middle of two rivers – Mahanadi in the North and South is Kathajodi. The stone embankment protecting the riverbanks speaks eloquently of the engineering skills of the 11th century. There is Barabati Fort for those who are fascinated by history. The Ganga Dynasty on the bank of the Mahanadi built it. Nearby is the shrine of katak Chandi, the presiding deity of the city. In Cuttack there is Paramahansanath Temple of Shiva is famous for its water hole, which floods the sanctum sanctorum on holy occasions. In the center of the city is Aadam-I-Rasool. It has two other beautiful mosques and a music gallery. For those who are interested about shopping the Cuttack is the best place in the whole Delhi, Hyderabad and Chennai. Cuttack is 29 km from Bhubaneshwar by road and the National Highway No. 5 passes through the city. This entry was posted in Cuttack, Orissa. Bookmark the permalink.